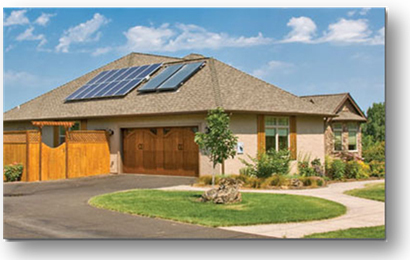 A typical Ontario home has a roof size enough to install 1 to 5 kw solar PV based power generating system. Please call us and we will be happy to do a no-obligation Free-of-charge estimate of your property in terms of the following. Please register with us with the Home Owner’s questionnaire and we will take care of the rest. Roof direction or orientation – Whether facing south, south-west or south-east – To get the optimum solar radiation, roof facing true south is optimum. This is because we are in the Northern hemisphere. Lookup for your city’s latitude finder for deciding the appropriate angle. Roof Sloping or the angle – The angle of the roof gives best results when the Solar panels face true south in the Northern Hemisphere, North in the Southern Hemisphere, tilted from the horizontal at a degree equal to your latitude plus 15 degrees in winter, or minus 15 degrees in summer. For Eg. Toronto is located 43 degrees North Latitude and 79 degrees west Longitude. Accordingly, the Solar panels will be able to give the best power output when installed at an angle of 43-15=28 degrees for summer or 43+15=58 degrees in Winter. 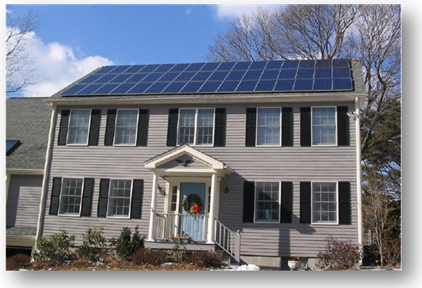 Important Aspects in deciding the roof-top Solar PV installation (Home owners). The roof-top Solar PV installation for a typical Canadian home is a challenging task especially with the pitched roof (Gable roofs, Hip roofs, Skillion roofs) made with varied available roof covering options like Asphalt shingles, Metal , Clay tile and slate etc. The biggest challenge being that of “Leakage” or “Corrosion” found at the point of penetration. Start an action group around your community to promote the usage of Green Energy for your home or business. Call us to make community workshops to help you educate around how installing Solar power for your home or business actually makes economic sense. Enjoy the potential of sun to generate steady and predictable income for you from millions of kms away. For Solar PV power (Grid-Tied) generation solutions, currently, we are serving the geographical areas covered by the following cities of GTA - Mississauga, Brampton, Caledon, Oakville, Burlington, Hamilton, Toronto, Richmond Hill, Vaughan, Ajax, Pickering, Whitby, Oshawa. However, we are continuously evaluating market response and will gear up our operations to cater to other markets. We will also evaluate appointing and training dealerships in un-represented markets.